their gathering in Yosemite in 2009. 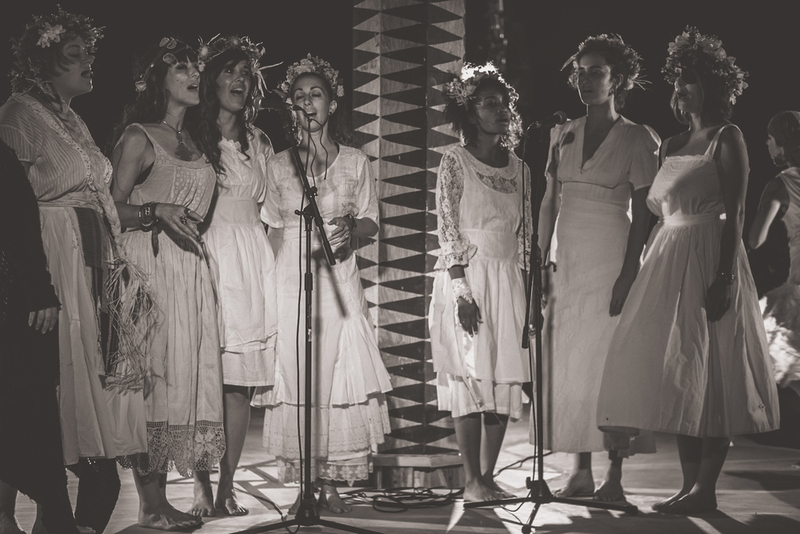 It was at the Eclipse Gathering at Pyramid Lake in 2012 that the first incarnation of the Village was born, in collaboration with the Symbiosis Production Team. 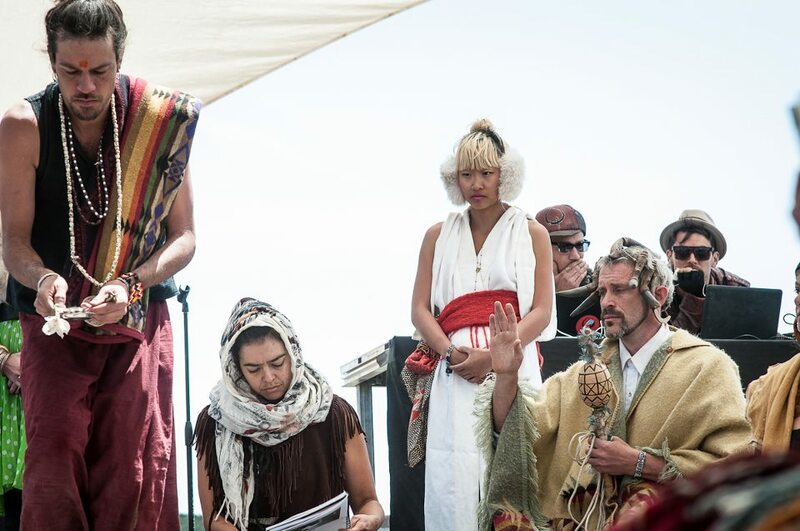 We worked closely with the local Paiute people on whose sacred land we were honored to gather, to do our very best to create a respectful and harmonious shared experience. Since then, we have been holding and facilitating the Elemental Altars, with a full array of ceremonial offerings aligned with the directions and elements. These spaces have been created from a place of recognition of the Elementals as holy beings themselves, beyond religion or dogma, a place for people of all traditions and lifeways to feel welcome to celebrate these foundations of life. We have been deeply honored and grateful to be welcomed onto this land of the Sierra Mewuk people and humbly acknowledge that wherever we are on this continent, we are standing on unceded Native land. It is the intention for these Altars to be a place of honoring of all lineages and ancestries, where we can truly embody the emerging culture of respect and celebration. For the Oregon Eclipse Gathering in 2017, LVC was honored to facilitate the Community Eclipse Ritual, as well as the Opening and Closing Ceremonies along with honored Elders and Representatives from 28 different indigenous peoples around the world. same spirit as the Elemental Altars of previous years.